MON-FRI 7am, SHABBOS 1 Hour before Mincha, SUNDAY 9:30am. 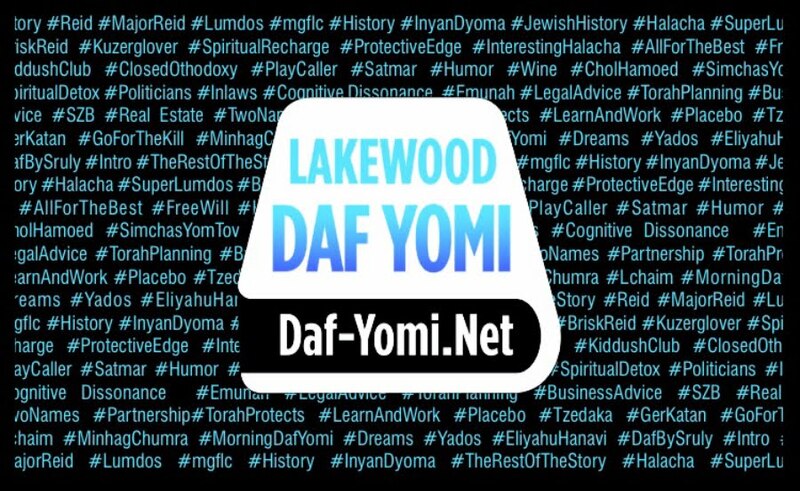 Daf-Yomi.Net - created by members of the Daf Yomi shiur given by Sruly Bornstein, to share the audio recordings of the daily shiur given in Lakewood NJ. An energy infused Daf Yomi Shuir with engaging commentaries and Halacha Lamaseh, all delivered in under an hour. www.Daf-Yomi.net | info@daf-yomi.net . Simple theme. Powered by Blogger.